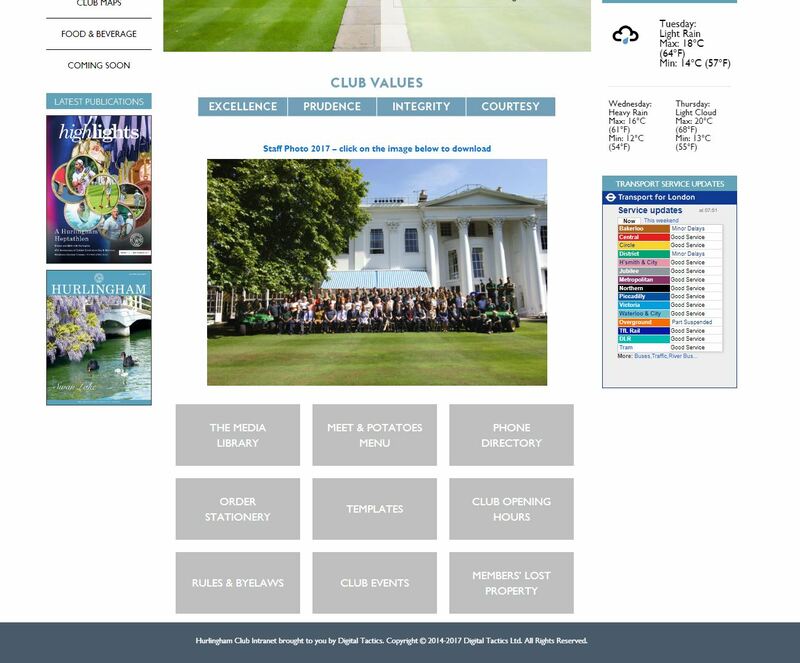 A stylish and easy to manage intranet solution easily customized in line with business branding built atop DT Intranet (our intranet solution for businesses of all shapes and sizes). 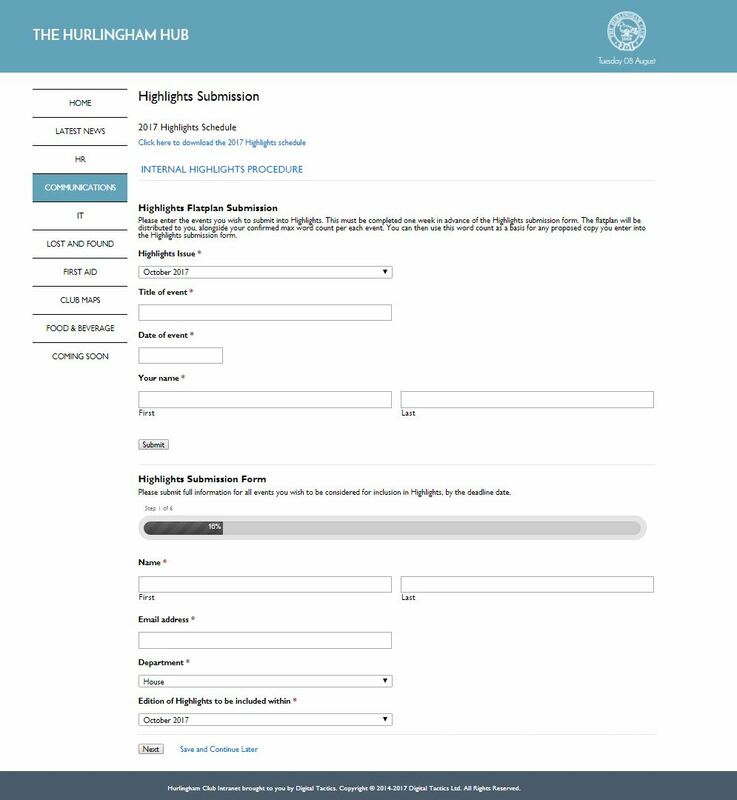 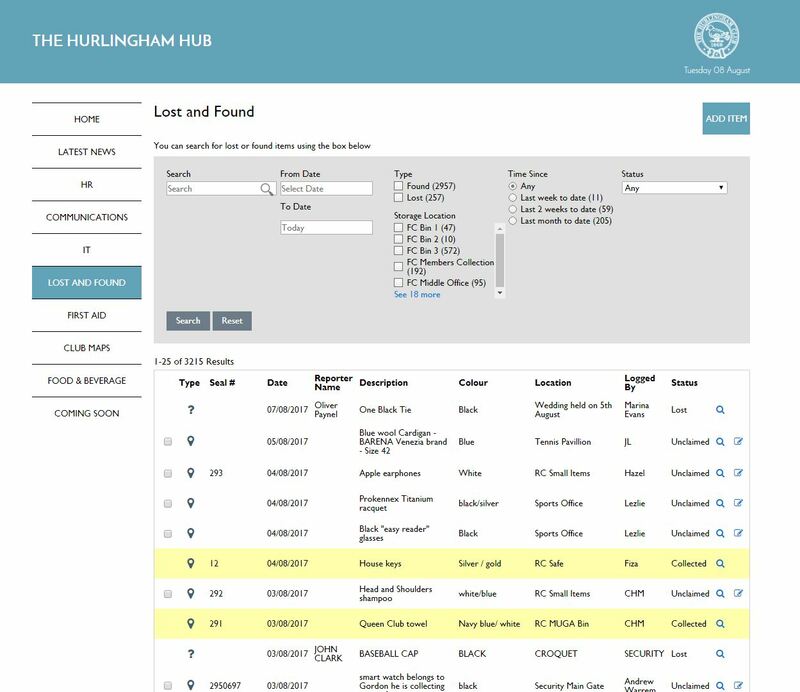 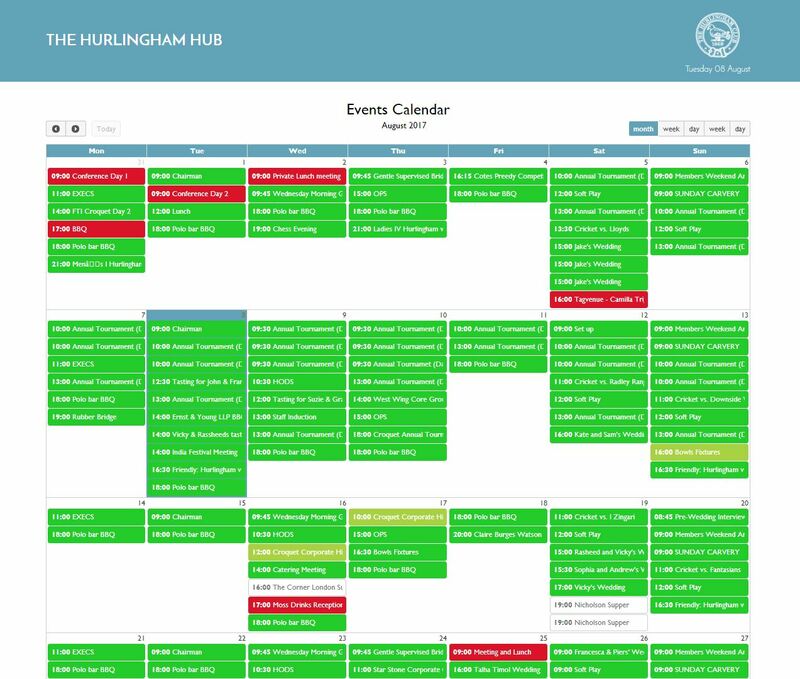 Integrates with a variety of back-end administrative systems to surface key information to staff on day-to-day activities. 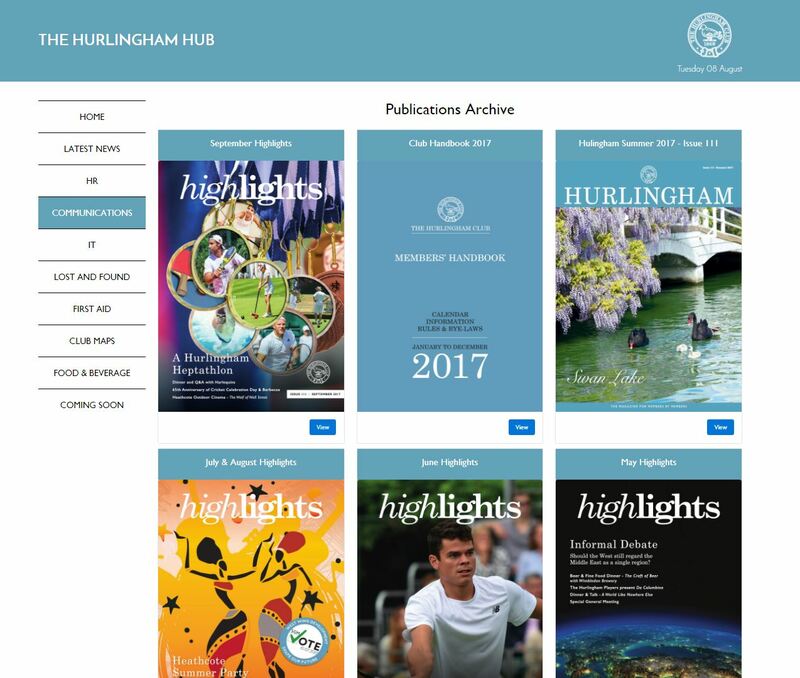 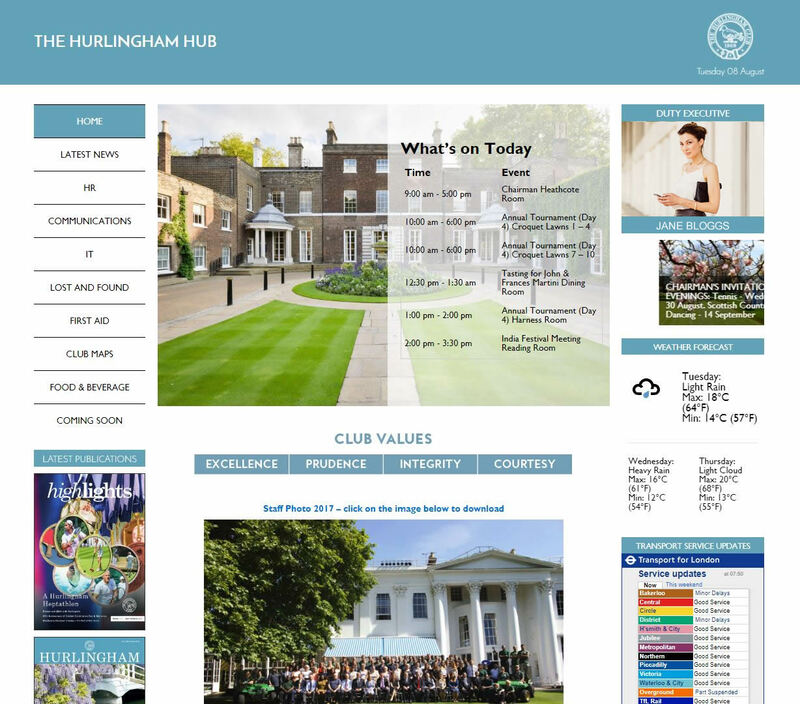 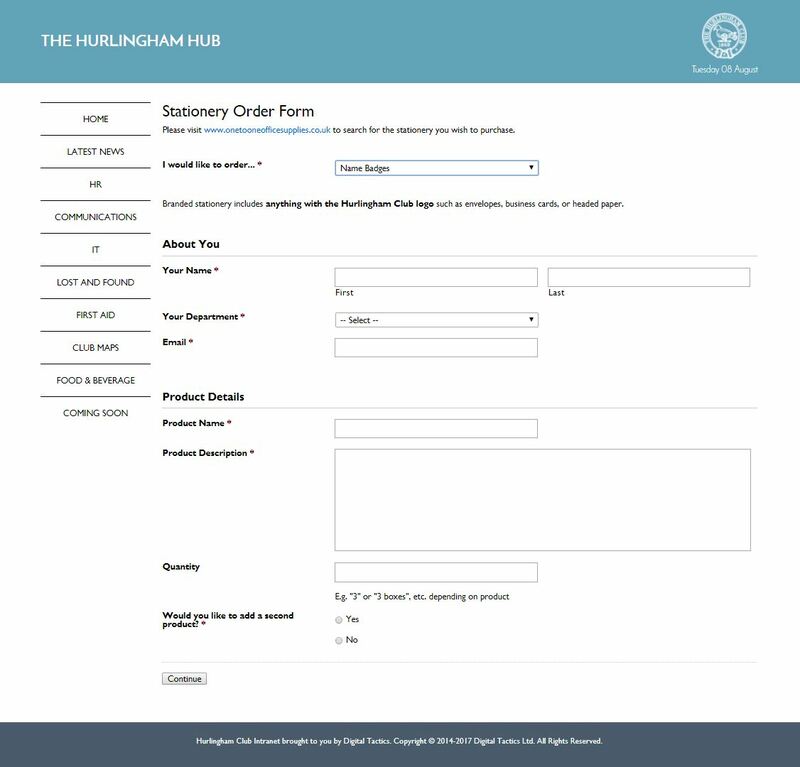 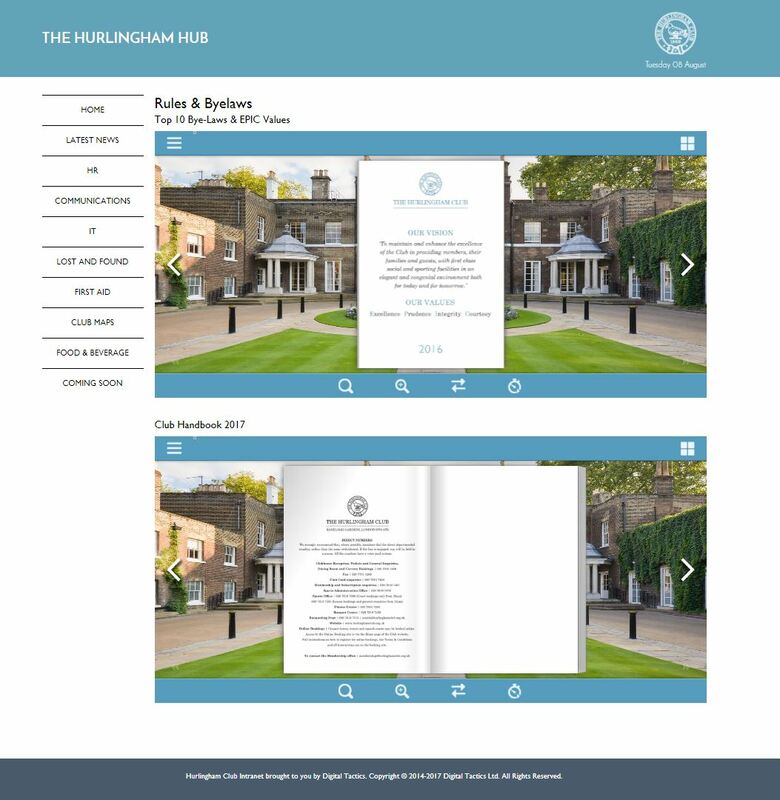 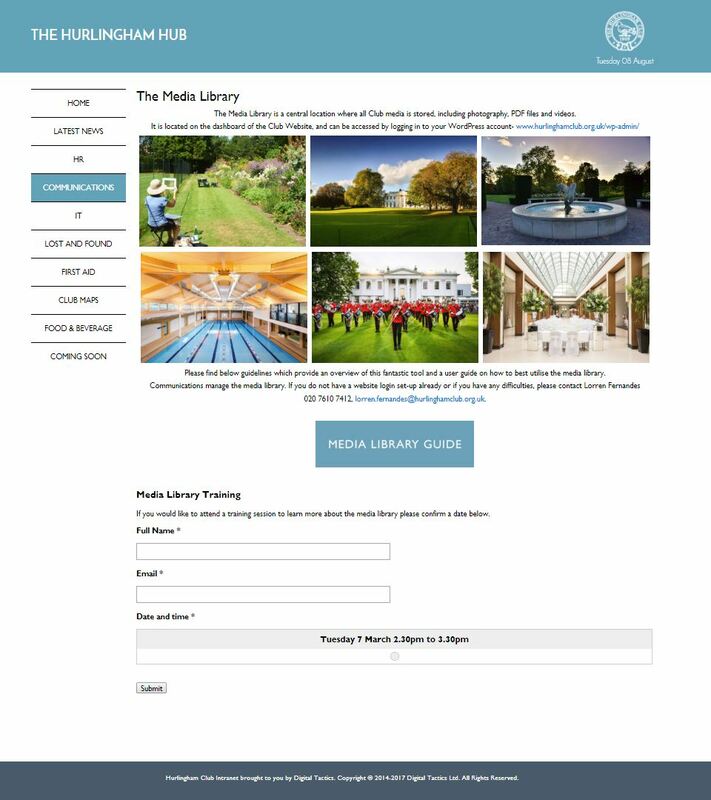 Digital Tactics provides strategic digital consultancy, cloud hosting and web development services to the Hurlingham Club.